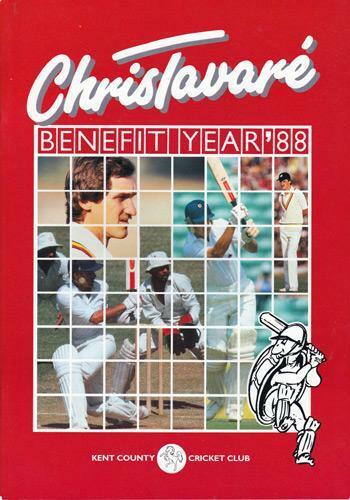 Signed 1988 Kent CCC Benefit Brochure. 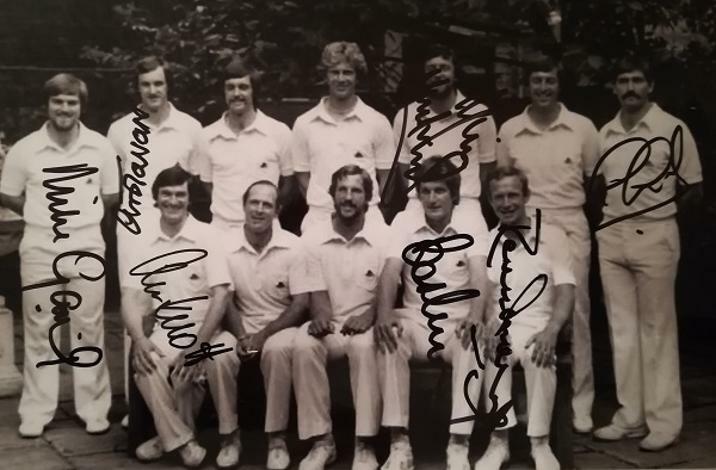 1980 England Test Match team photo (v West Indies at Trent Bridge) signed by 6 other players, inc Kent team-mates Alan Knott & Derek Underwood + Mike Gatting, Mike Hendrick, Graham Gooch & Bob Willis. 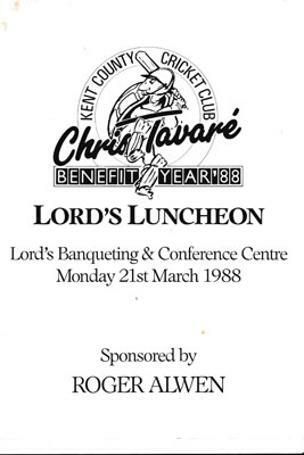 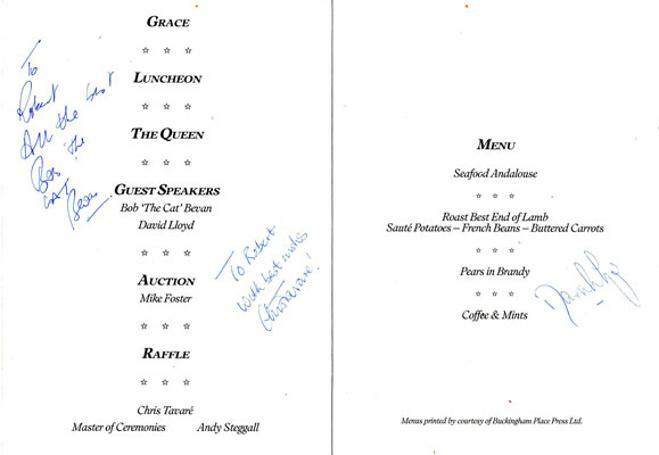 Signed & dedicated Kent CCC 1988 Benefit Year Lord's Luncheon Menu. 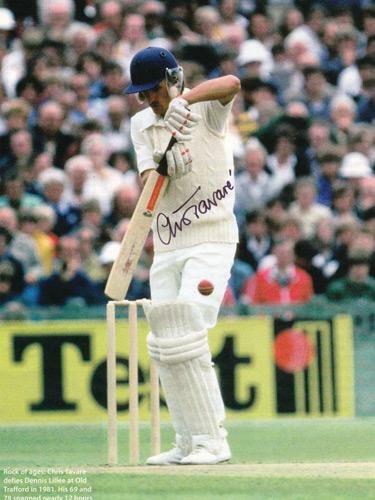 Also signed by David Lloyd and Kent President Bob 'the Cat' Bevan. 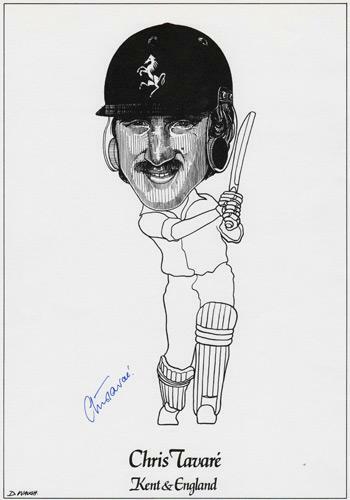 v Sri Lanka (c 1982). 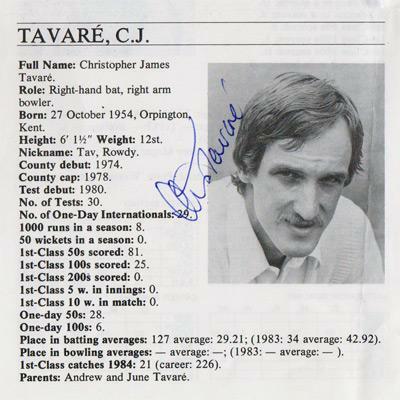 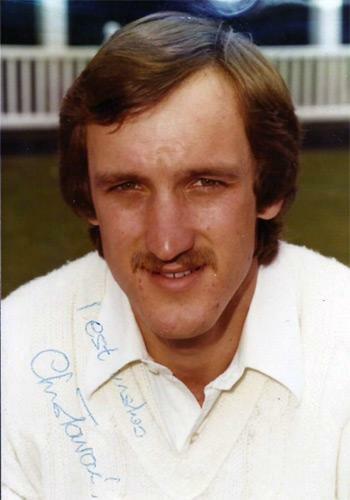 Signed Cricketer's Who's Who Bio Page. 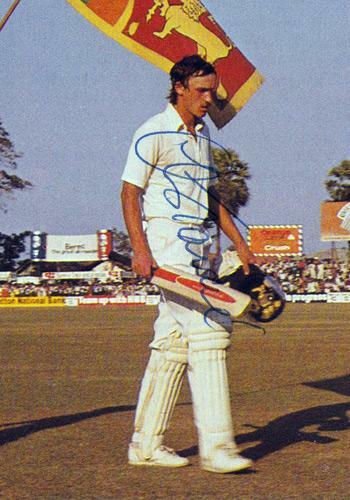 Ashes Test match magazine pic.